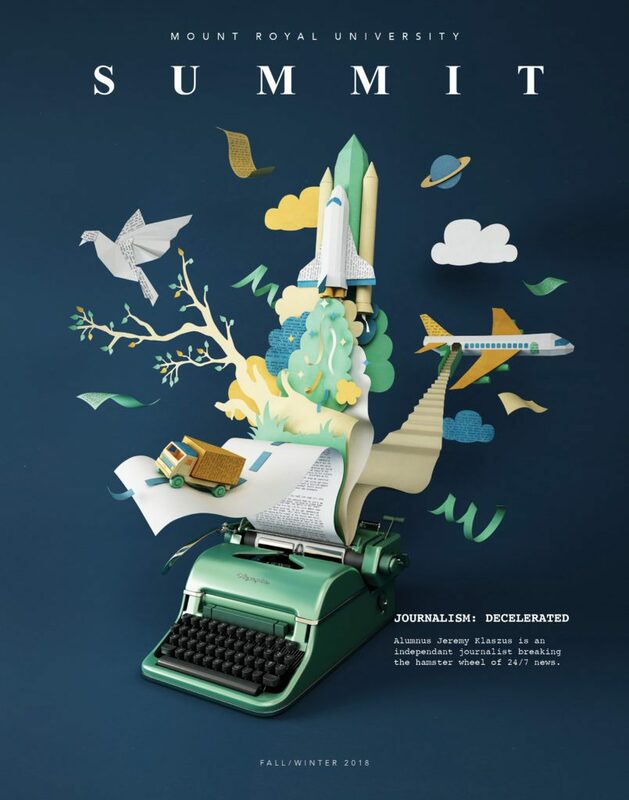 Summit is published in the fall and spring of each year. Its pages introduce the community to the exceptional students, faculty, staff, alumni and supporters of Mount Royal University who are, together, helping to change the face of education in Canada. It is available digitally and as a print edition and circulated throughout North America to alumni and the greater community.